BandiFix is freeware that can repair broken AVI files. It's free avi recovery software and it can be used for fixing a corrupted avi video file. It allows you to recover corrupted/broken AVI files that cannot be played. 3. Click [...] button to open the broken/corrupted avi file and choose the broken file that needs to be fixed. 4. The automatic recovery of the corrupted AVI files will take place. BandiFix allows you to repair broken AVI files due to an abnormal shutdown when recording through Bandicam. It will also help recover other corrupted AVI files that are downloaded from the internet. To use BandiFix, download/install Bandicam from https://www.bandicam.com/downloads/. The current version of Bandifix can be used for fixing a corrupted avi video file. If you chose the .MP4 file, play the broken MP4 file through VLC media player or POT media player. 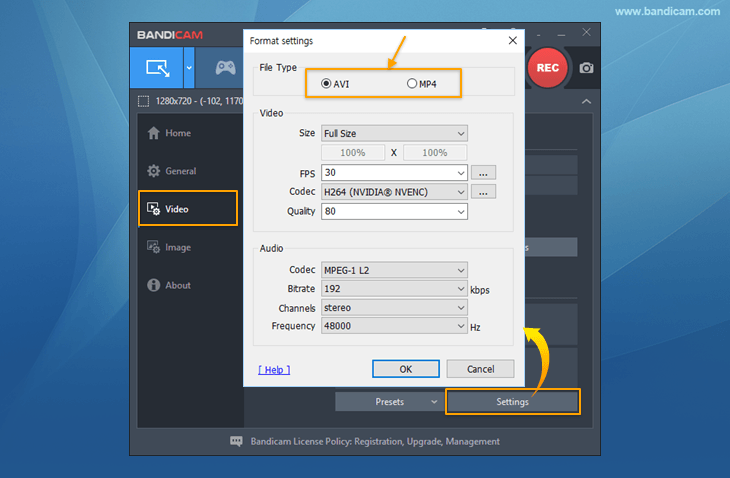 If you can play the broken file with VLC media player or POT media player, please re-record the video file (while it is playing) through Bandicam.